Every season requires something new: new handbag, new shoes, new lipstick. Come September, we’re ready to get our shopping on! But what is actually worth that pretty penny? We’ve done the research for you (and the testing) and narrowed it down to 5 beauty trends, plus their product counterparts that you really need to own this season. You’re welcome. Here are the looks worth wearing and the products worth purchasing for fall 2017 beauty. 1. Volumizing Mascara – A new tube of mascara is always on our shopping list, but this season is seeing volume as the main focal point. In fact, you can actually leave your Twiggy-like clumps in place; they’re kinda on-trend. TRY: Urban Decay Troublemaker Mascara ($24) – in one word, obsessed. 2. 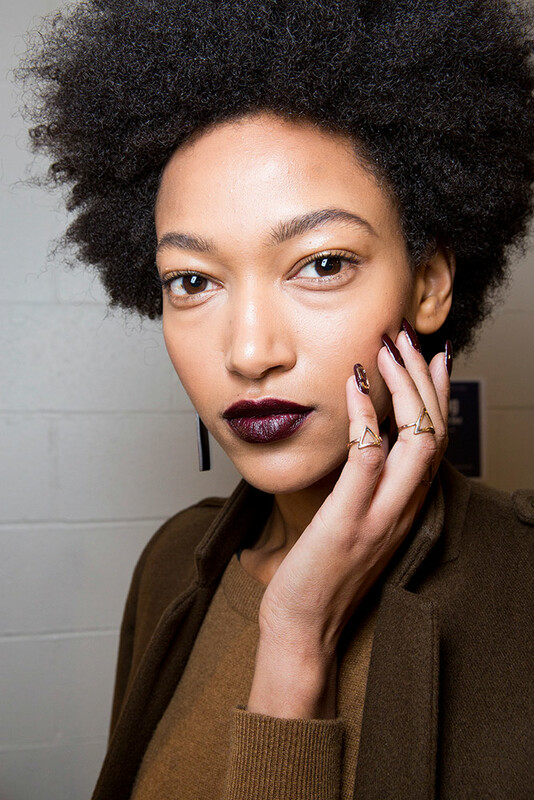 A Vampy Lipstick – The nineties are back in a big way — and we’re celebrating with the staple vampy pout. If you’re not interested in purchasing the new hue, just add black eyeliner to your red lipstick and — boom! — you’ve got that dark, moody, brooding blood-like color without purchasing a new product. TRY: Marc Jacobs Beauty Fashion Collection Le Marc Lip Crème in Trax ($30) – look no further, this is the perfect vampy shade to compliment any skin tone. 3. Black Kohl Eyeliner – A liquid cat eye is timeless, but have fun with smudging your pencil. So many of this season’s best eye looks focus on a smokey eye, and there’s no better way to get that drama than with a bendable eye pencil. Bonus points for lining your waterline. TRY: Nars Larger Than Life Eyeliner in Via Veneto ($26) – Creamy and bendable, yet won’t rub off once applied. Invest in it. Trust us. 4. Gold – Gold as an accent color isn’t new, but it’s eternally gorgeous and fashionably trendy for fall. The runways saw it on eyelids, but you can incorporate it as a highlighter as well (choose a champagne-based highlighter rather than a pearl-based one). TRY: Make Up For Ever Metal Powder in Sunflower Gold ($23) – Apply the pigment to eyelids for a serious statement, or mix with a lip conditioner to create a cream and dab onto lids and cheekbones for a more subtle gold sheen. 5. Pop of Pink – A monochromatic pretty-in-pink look is both natural and romantic. 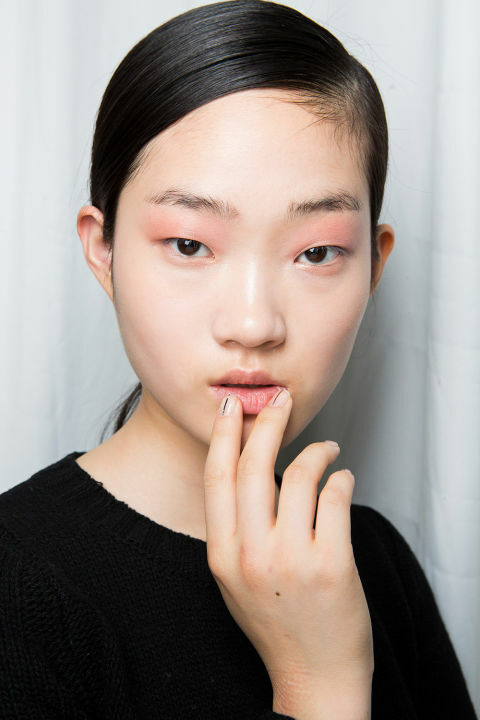 It’s part of the natural-just-bitten lip trend (use a lip stain, dab on, dab off, then apply a lip conditioner to get the look) paired with a glossy eye and cheek. In other words, use one sheen lipstick on all three areas…apply, blend, and get going. TRY: MAC Lipstick in Mehr ($18) – It’s like romance in a tube, the perfect petal pink. **Check out the slideshow above for straight-from-the-runway inspiration.